Heavy Planet : Heavy Planet Merchandise On Sale Now! Heavy Planet Merchandise On Sale Now! Have you been holding off on buying a Heavy Planet T-shirt? Well, there is no better time than now to get one. Not only that, but we will throw in a Free sticker as well. 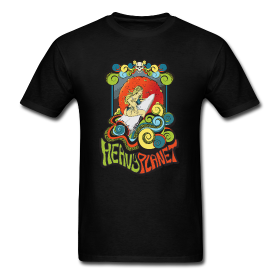 The popular Cosmic Girl design is now only $12.99 and the Heavy Planet logo design is only $7.99. What are you waiting for? We ship to any destination around the world. All proceeds of the sale will go right back into making Heavy Planet bigger and better than what it is now. So support great music and support Heavy Planet! Thanks!